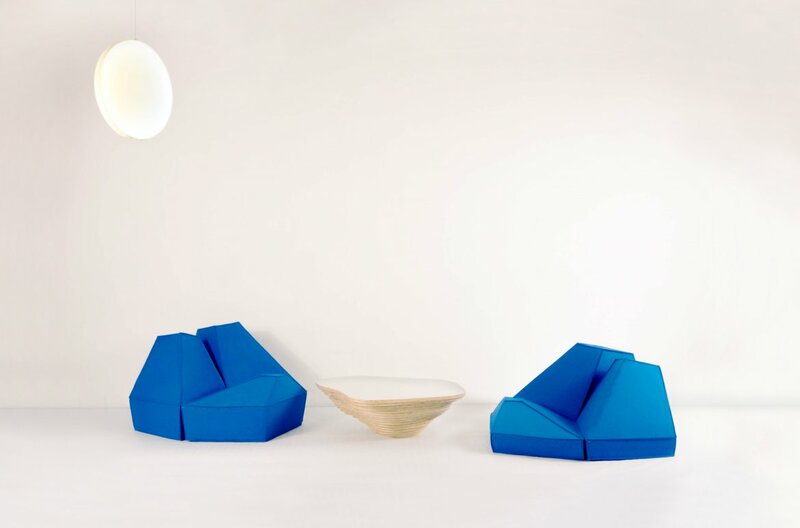 Looking into unconventional seating solutions has led us to Les Angles designed by Stephanie Marin – a geometric set of cushions which fit together to form a faceted seating landscape. 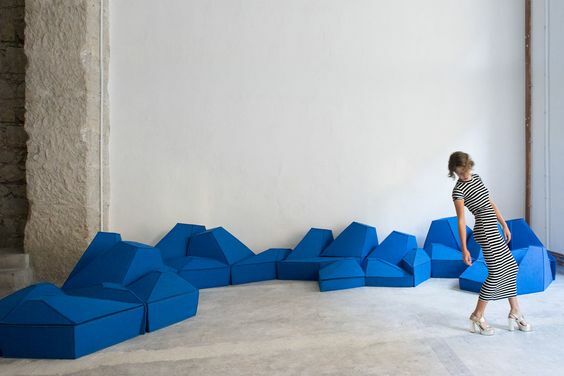 Together they are a flexible pavement able to cover floor, ceiling or walls. 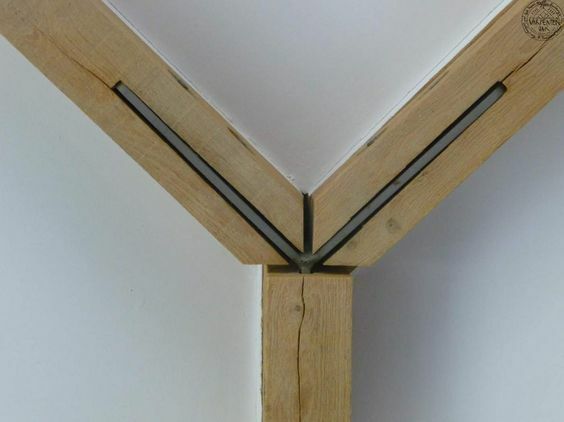 Thanks to the wool properties, they are also a great insulating and soundproof solution. 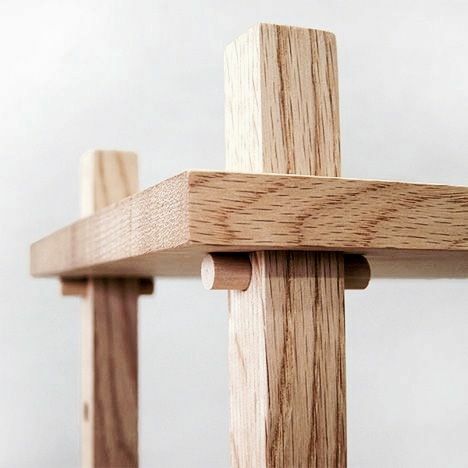 We love the tradition and craftsmanship of joinery. 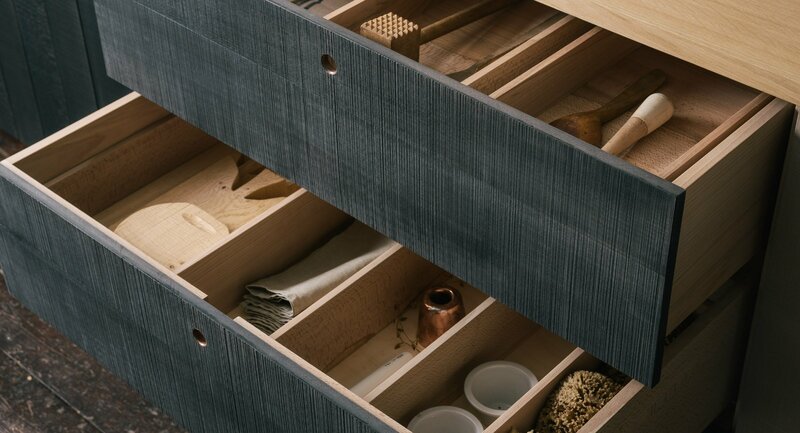 So we were very happy when a project came along where we could really go to town with a variety of timbers, cuts, stains and fixings. 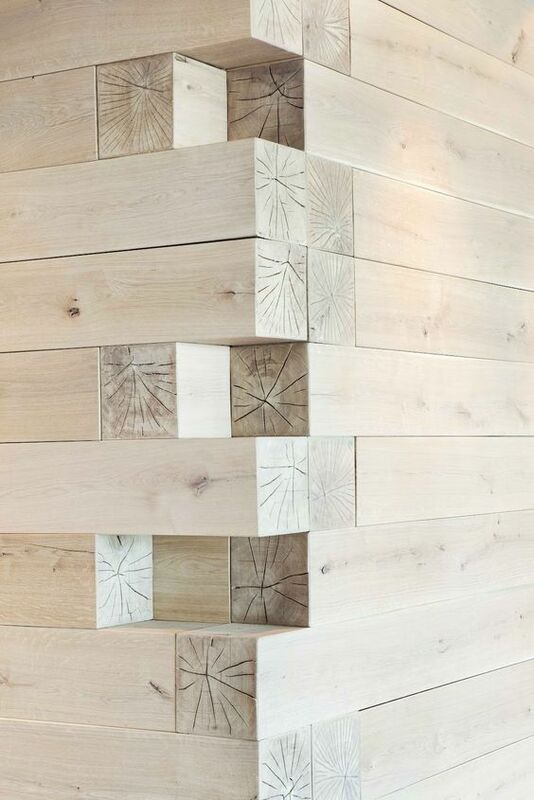 This simple and understated rough sawn stained timber with routed hand pulls has provided some good inspiration for us. 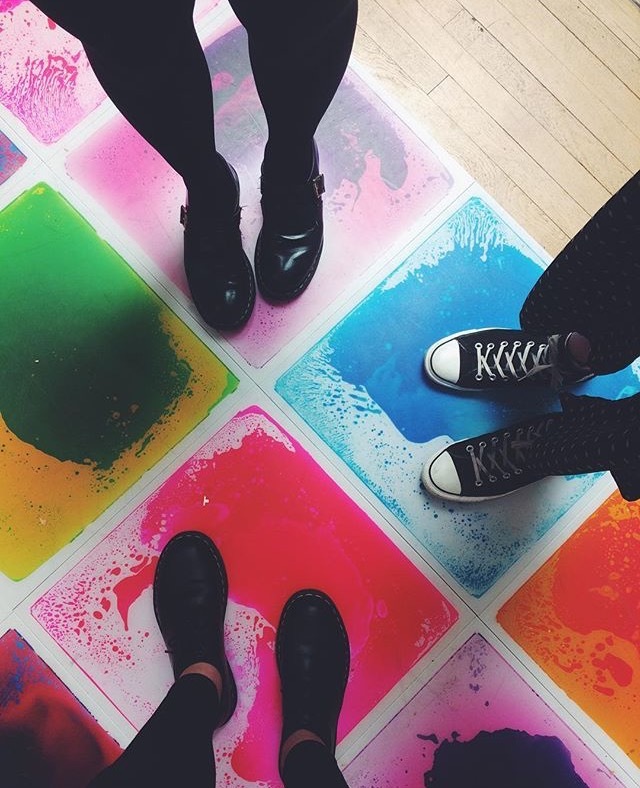 What a great idea for a floor interactive at Feren’s Art Gallery in Hull. A brilliant addition to any space needing some bright colour and fun for the young and young at heart! 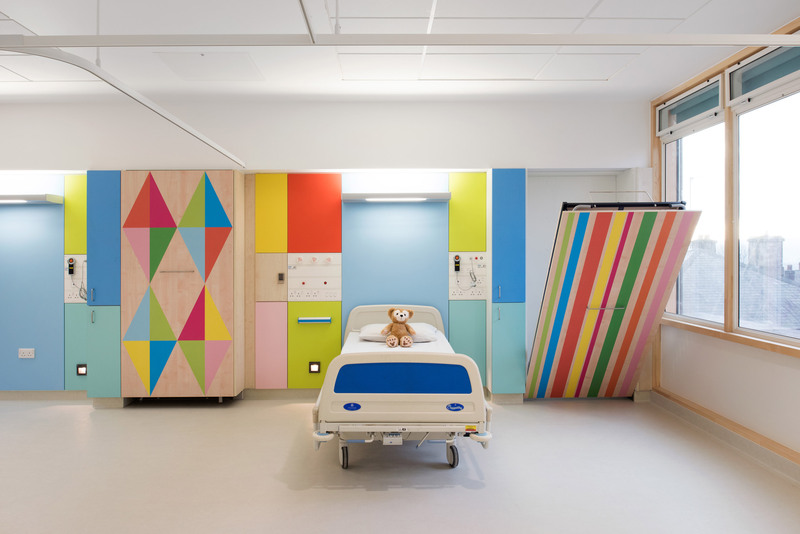 Play date by DesignTex draws on research into paediatric healthcare, offering a two -part wall system which allows children to transform hospital waiting rooms through their own creativity. 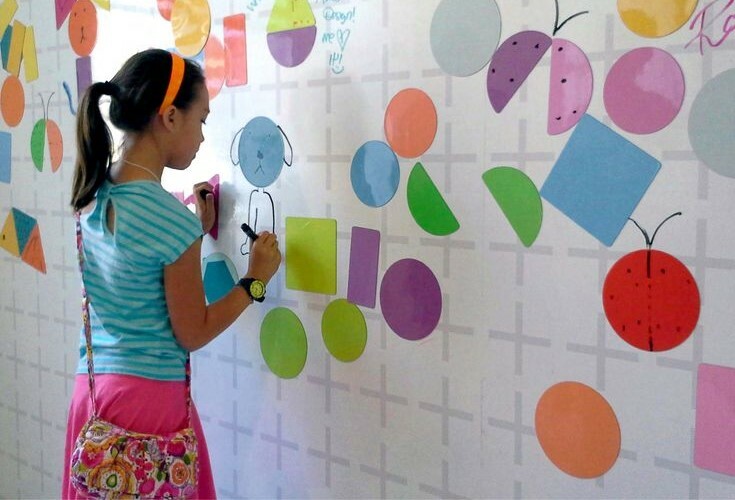 A digitally printed grid provides a backdrop for bright and colourful magnetic shapes, which can be amalgamated in countless variations to create abstract patterns, landscapes, buildings, animals and vehicles- anything a child might imagine. 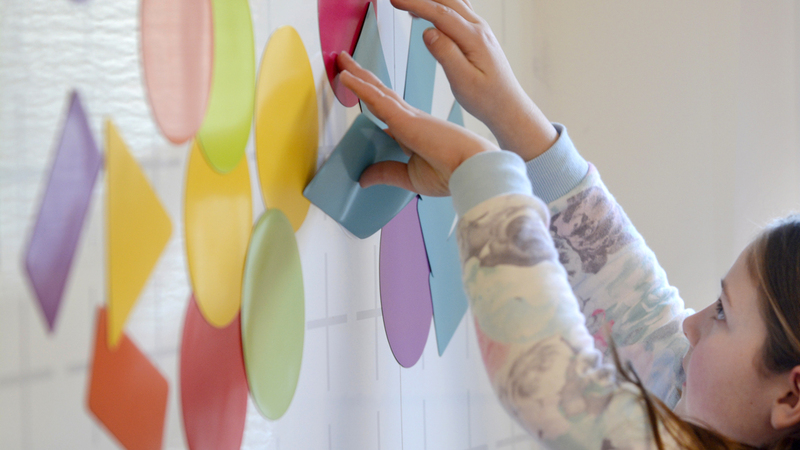 With evidence showing that positive distractions in waiting rooms reduce pain and anxiety, Play Date creates an environment that is interactive, flexible and timeless. 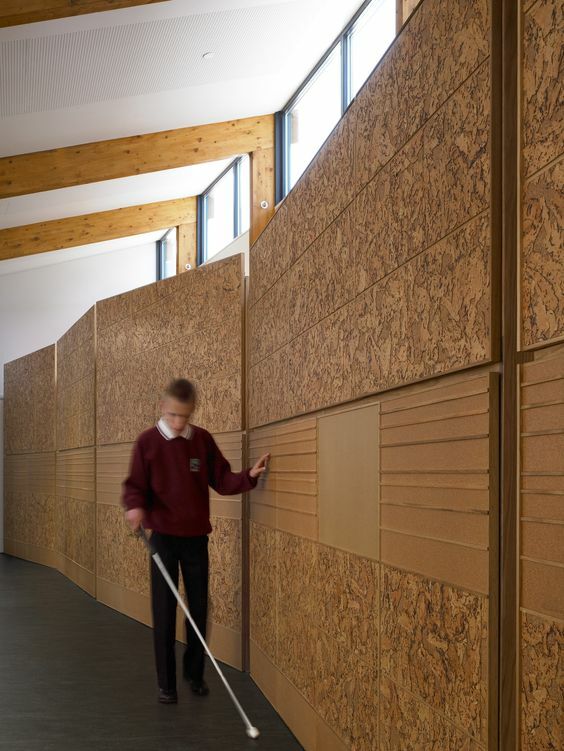 Hazelwood School has been designed for dual sensory impaired children aged 2 to 18. 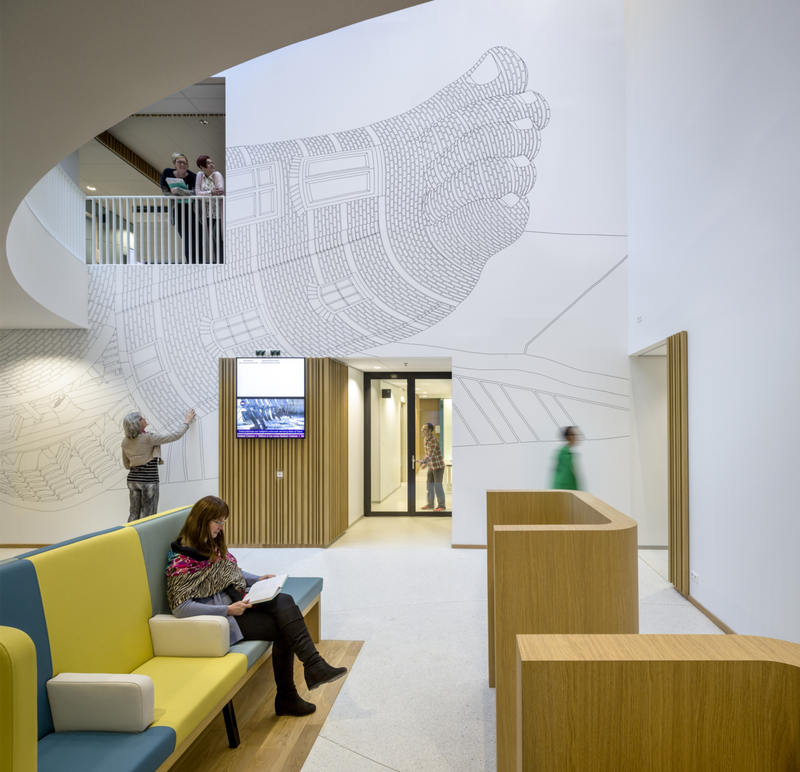 Alan Dunlop Architects have done a sterling job creating a school that supports the needs of the children and the aspirations of the parents. 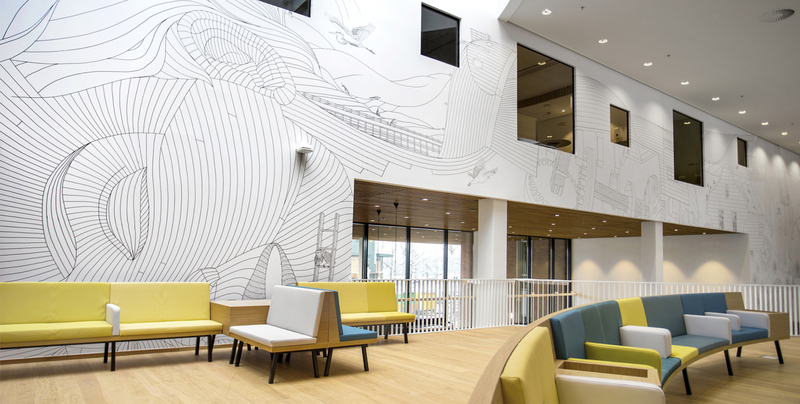 The school has been designed to be a place of safety and ambition that frees the teacher and inspires the child. 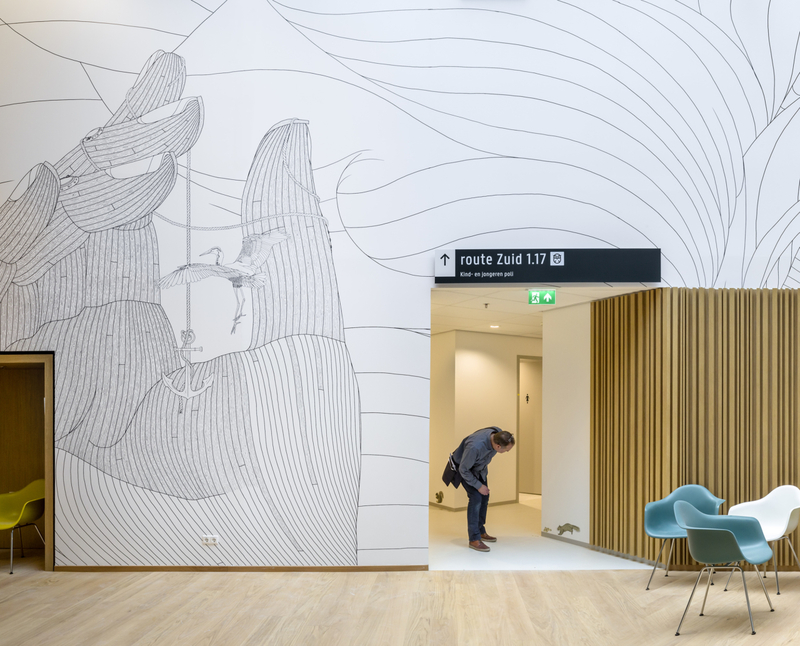 It’s a fact that a pleasant healing and working environment contributes to optimal recovery for patients, so we love the attention paid to positive distraction for patients and visitors at the new Zaans Medical Centre. 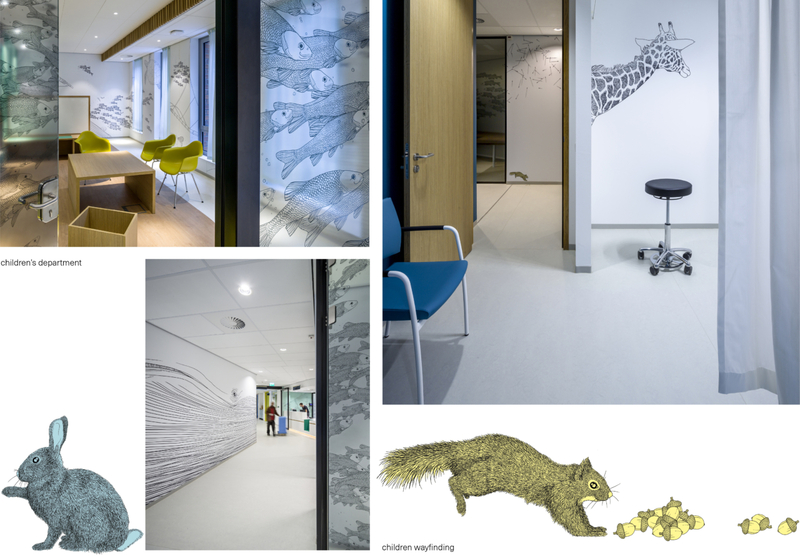 Part of this healing environment are the environmental graphics created by SILO. 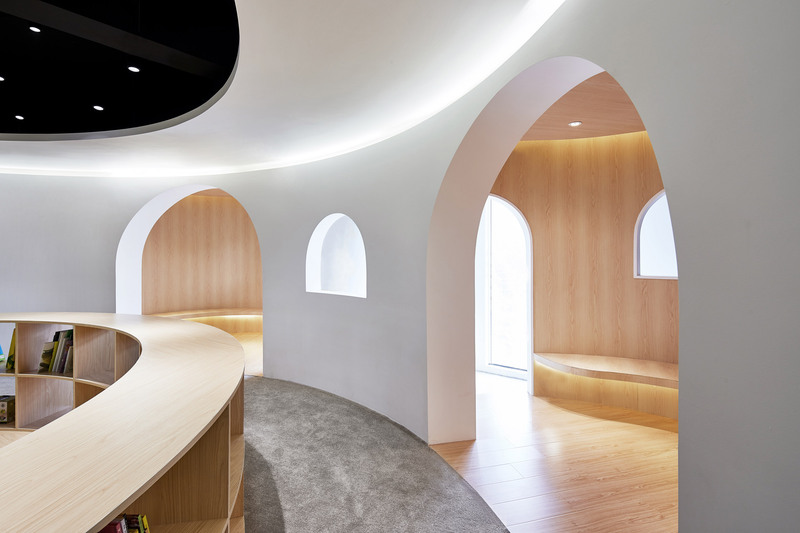 We’ve been inspired by the children’s library designed by Muxin Studio full of curved edges, cosy wood-lined reading nooks and low level benches for children to sit and read. 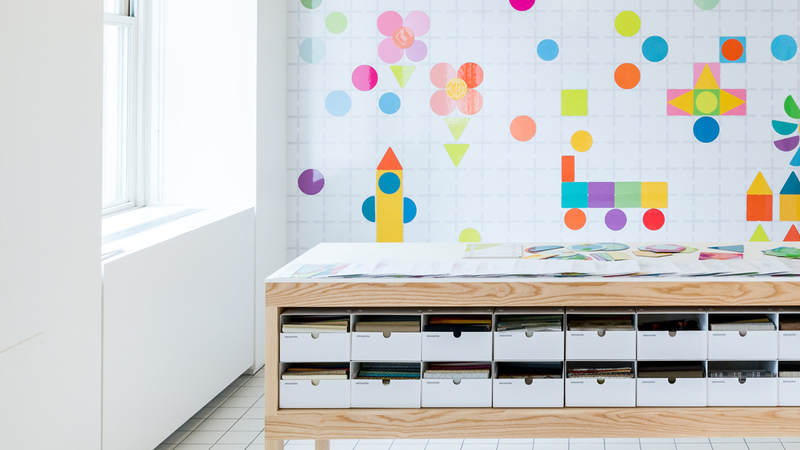 This space invites children to freely explore, discover and draw on their own imagination. We love it! 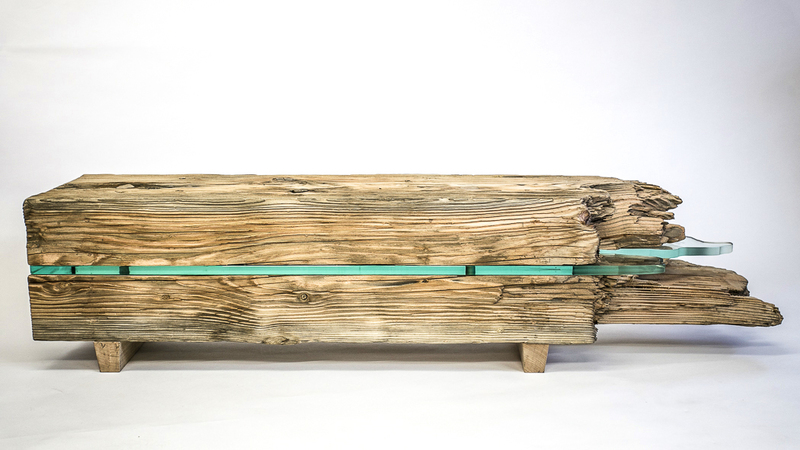 The Baulk Head Bench designed by Boex for the Fisherman’s Mission baulk art auction. 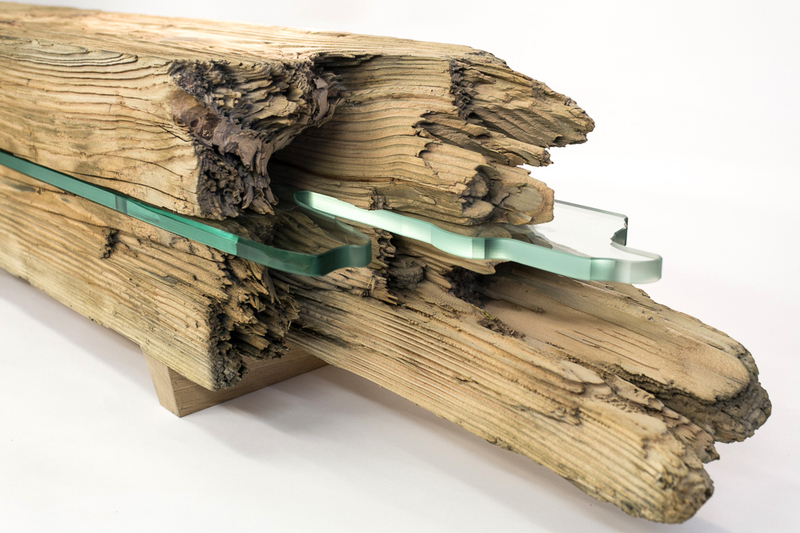 The bench is sandblasted to keep the grain whilst the snapped timber is emphasised by the glass panel showing the power of the ocean and the damage it can do. 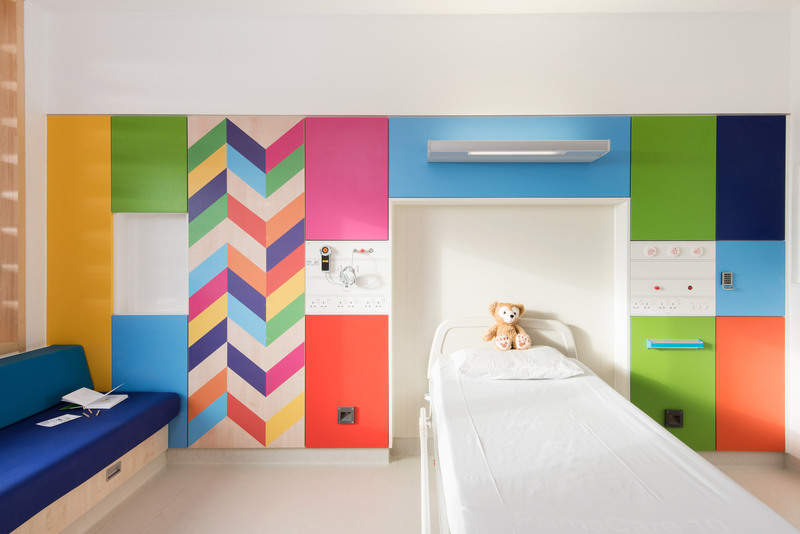 Designer Morag Myerscough used bright colours and bold prints to create an uplifting environment for Sheffield Children’s Hospital. 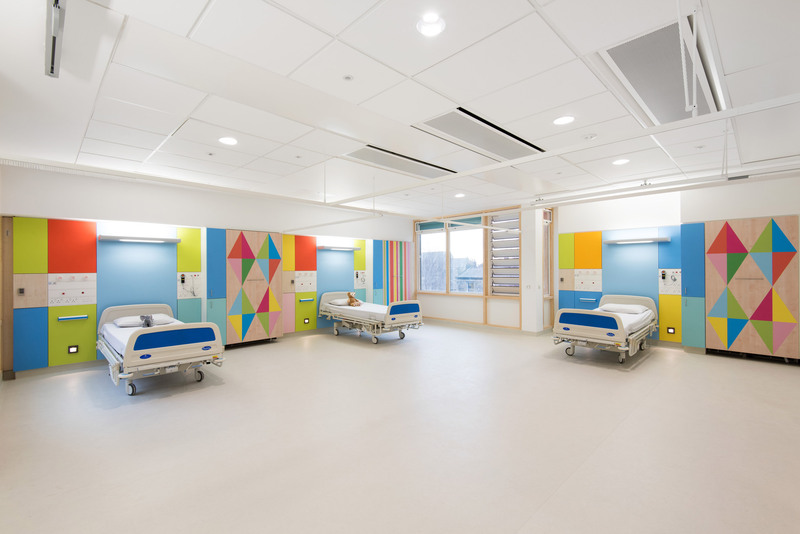 With an objective to make the wards feel more comfortable and less clinical, Myerscough scanned wood grain Formica laminates, digitally adding pattern and colour. 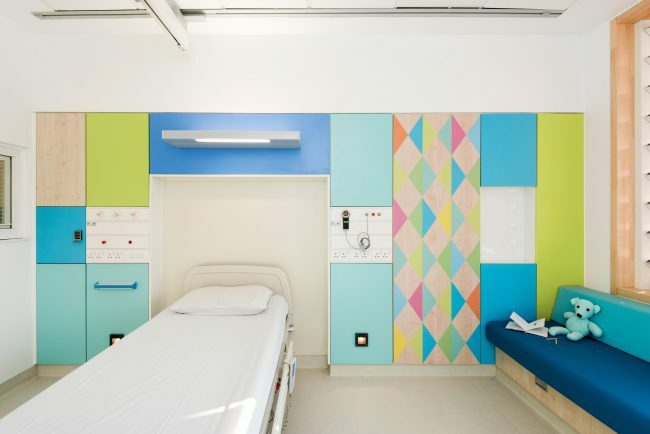 Medical equipment has been stored behind Formica panels to give the space a more domestic feel.